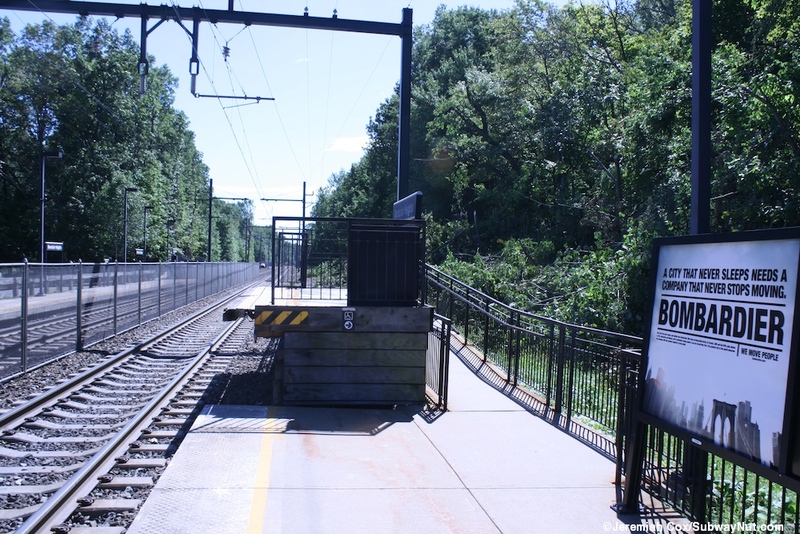 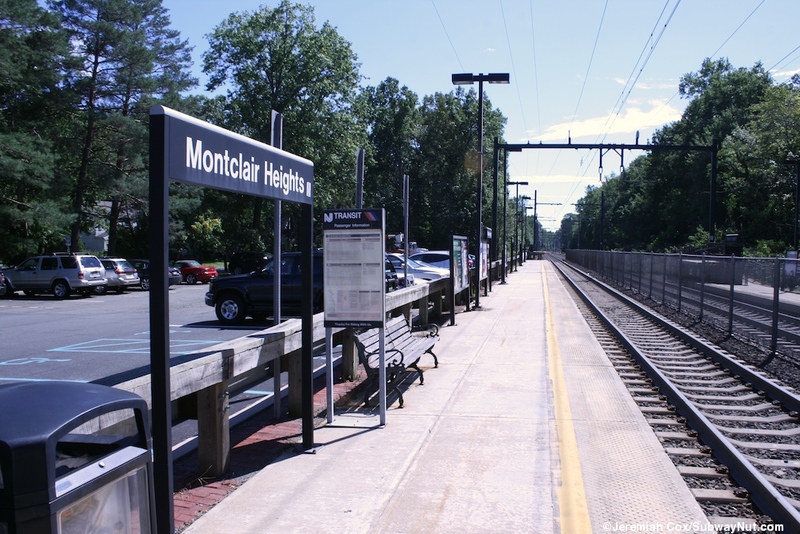 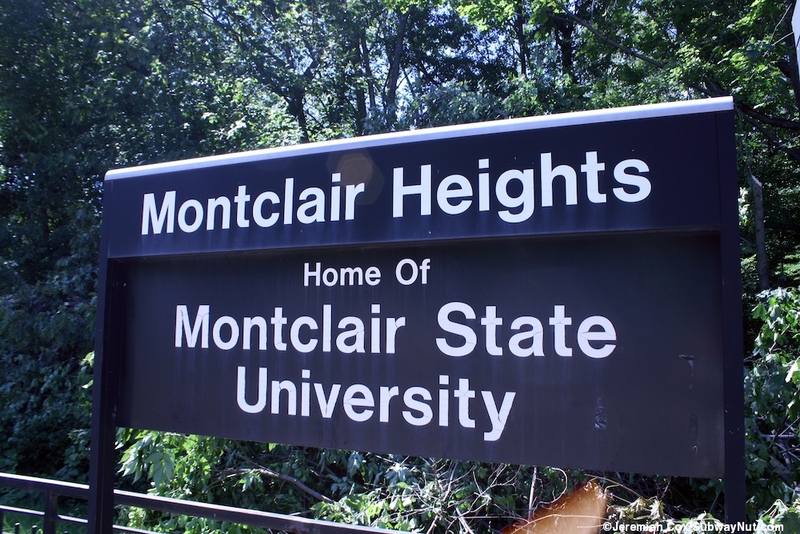 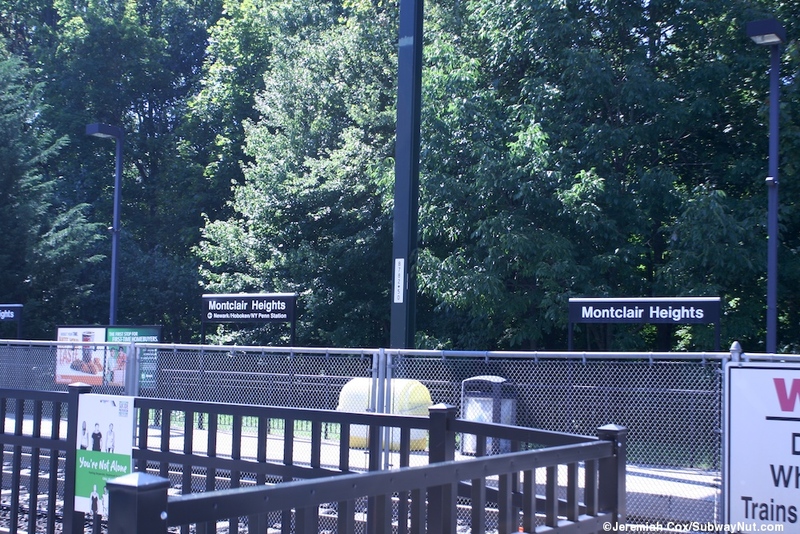 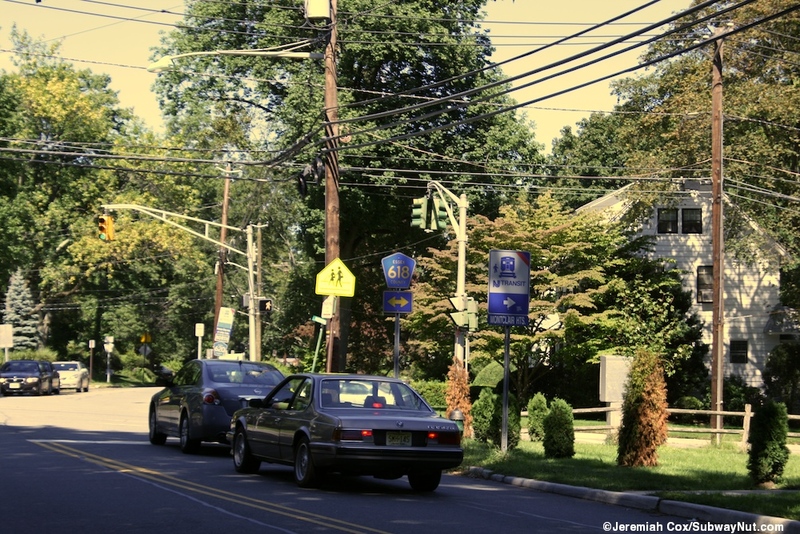 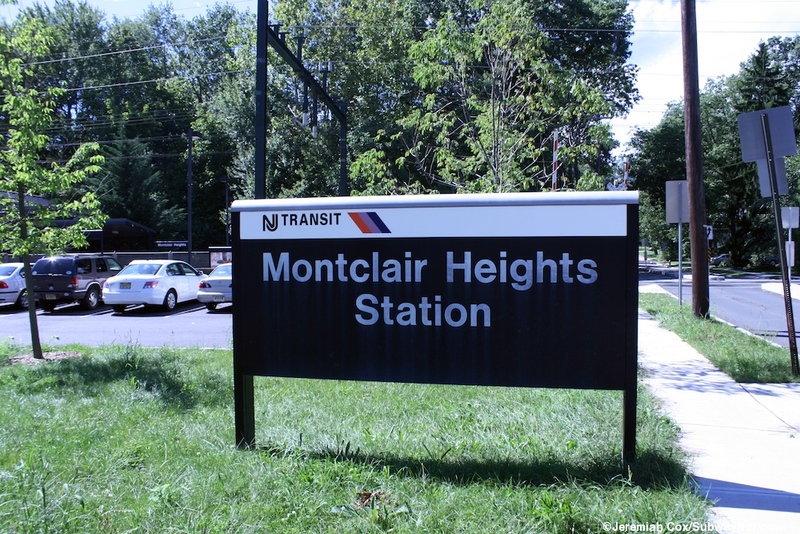 Montclair Heights (signs say Home of Montclair State University, left over from before the MSU station opened) is the most northern station in Montclair and was the original terminus of electric service when the Montclair Connection was opened on September 30, 2002 combining the Montclair Branch of the Morris & Essex Lines with the Boonton Line. 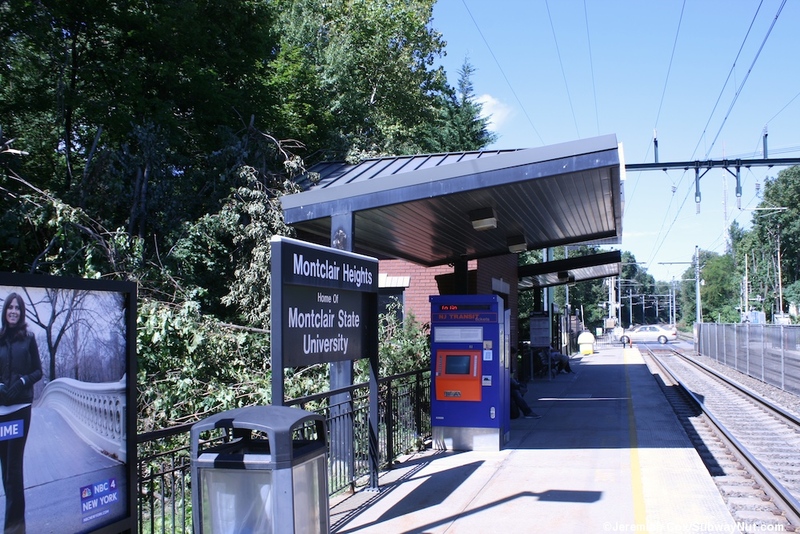 The station then became a transfer point between diesel service (during rush hours direct service from Hoboken) continuing to Dover and Hackettstown and new electric Midtown Direct Montclair service into Penn Station. 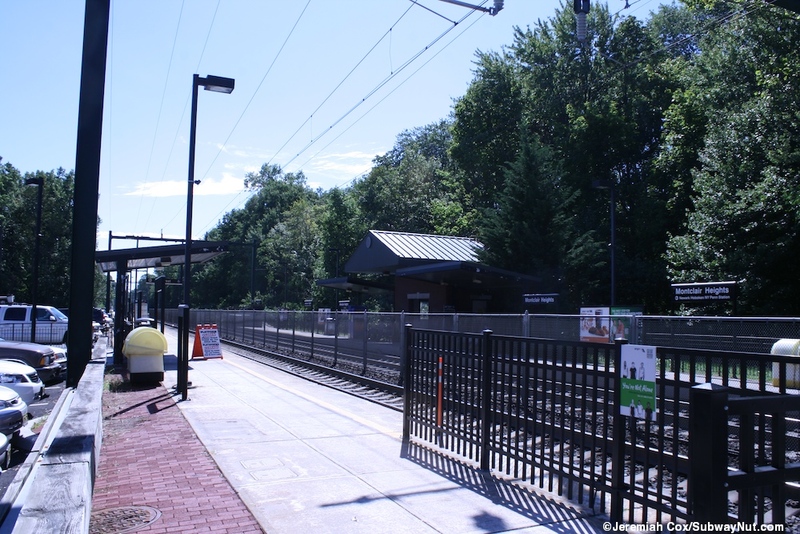 This tenure October 20, 2004 The station before 2002 was simply an intermediate station on the former Boonton Line's diesel service to Hoboken. 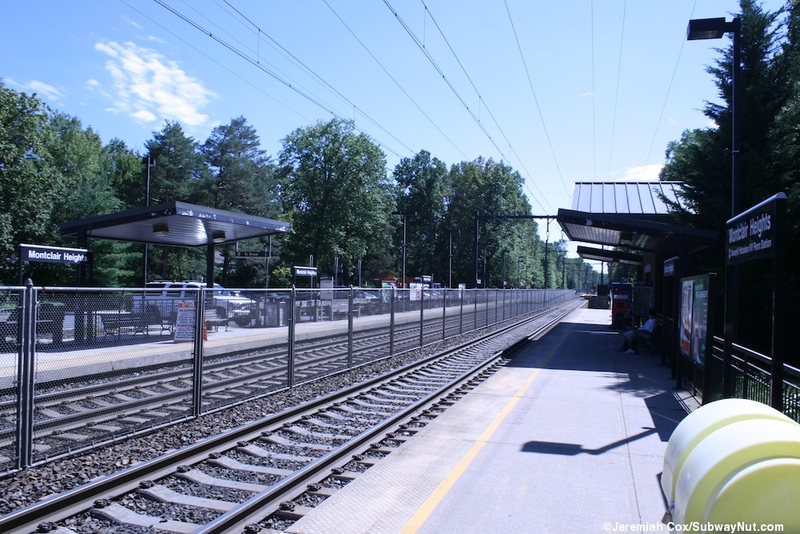 That ran limited trains almost entirely in the peak direct. 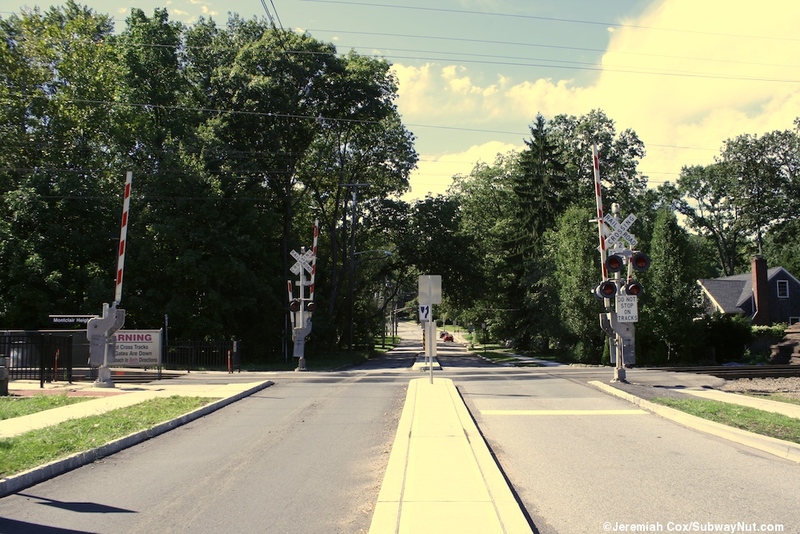 A few short-turn trains did terminate here. 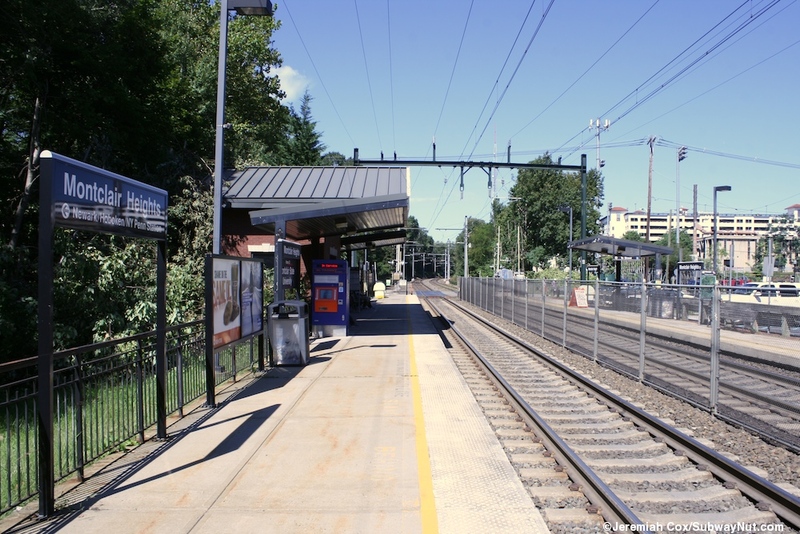 The station has two low-level side platforms that begin at the grade crossing of Normal Avenue and run south. 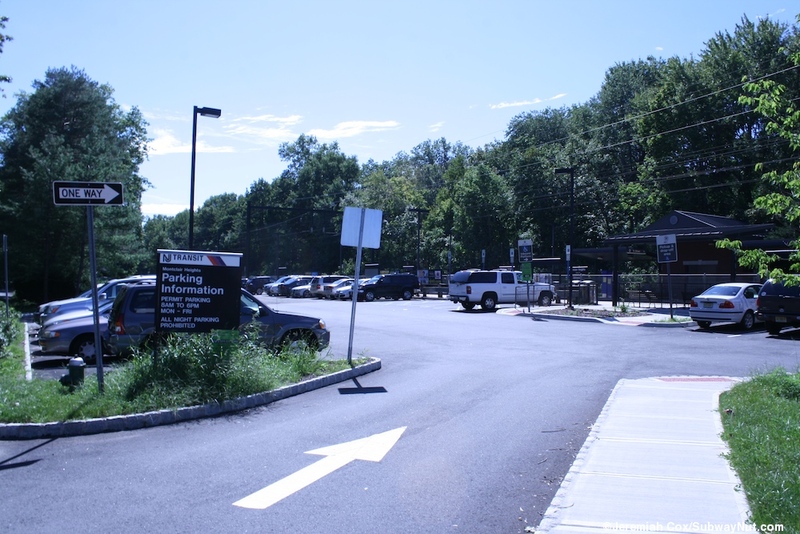 The station was renovated with a few more amenities for its short term use as a transfer station. 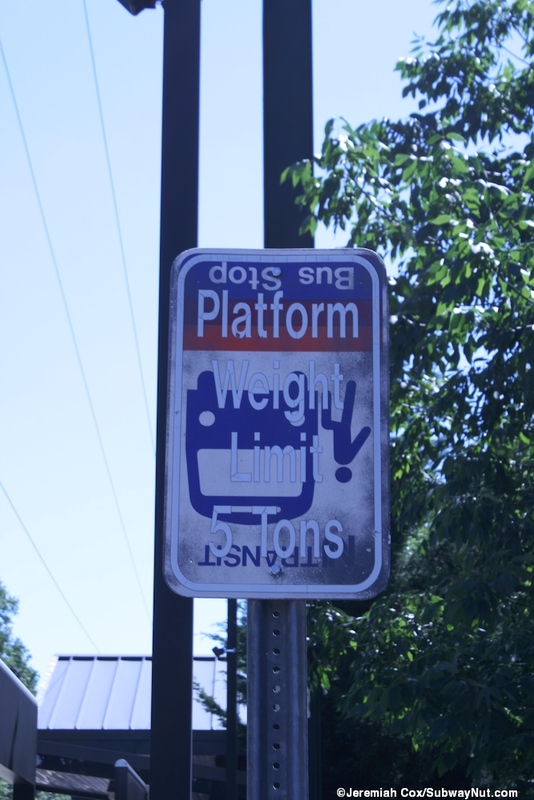 This includes tactile warning strips along both platforms and mini-high level platforms at the southern end of each platform for ADA compliancy. 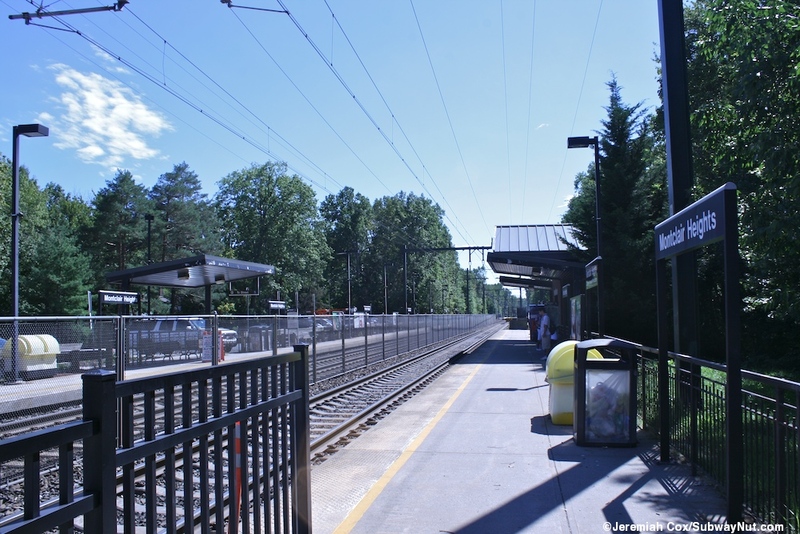 The platforms have minimal amenities. 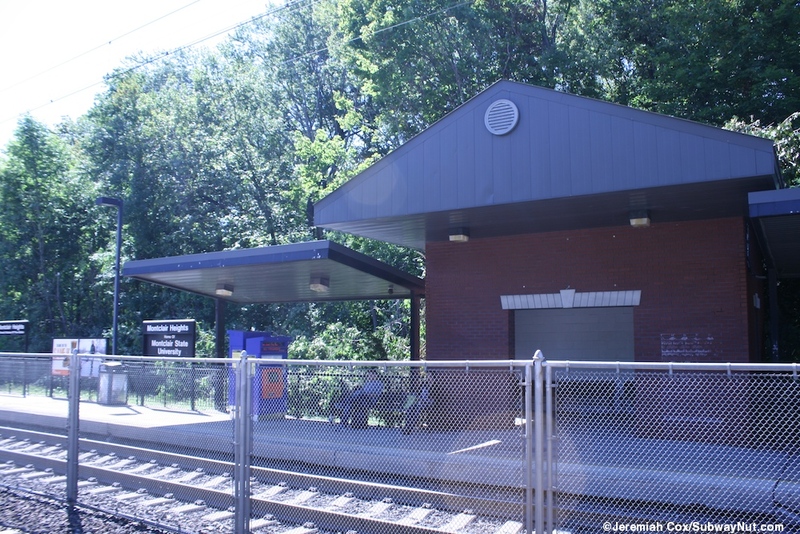 The middle of the Newark-bound platform has two short modern canopies, one covering two TVMs (installed in September 2011) with a small open waiting shed in between them. 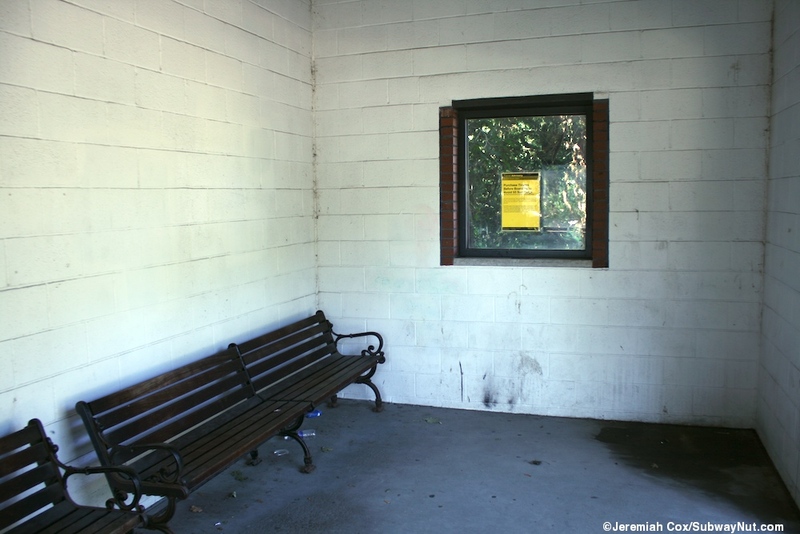 The exterior of the shed is clad in bricks and has simply a modern black fence on the edge of woods. 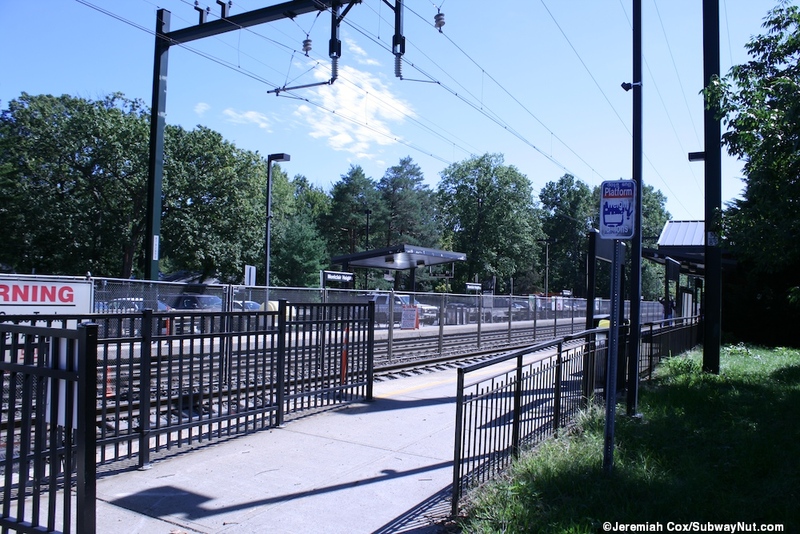 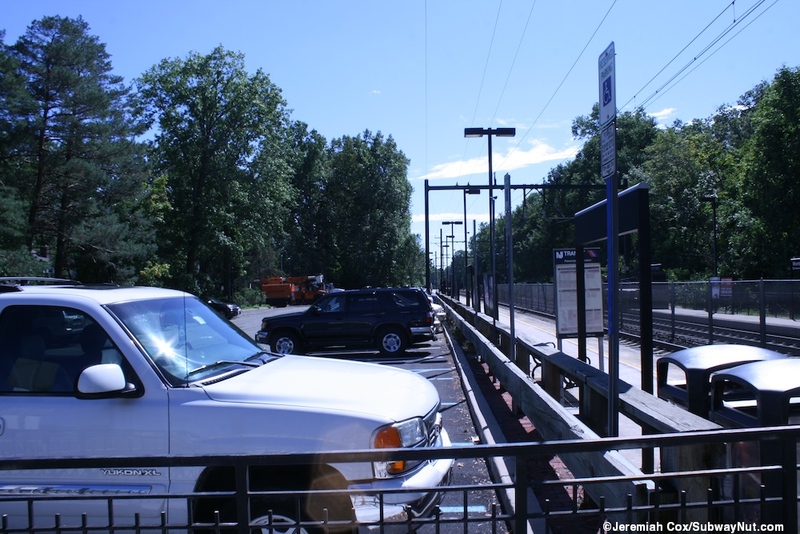 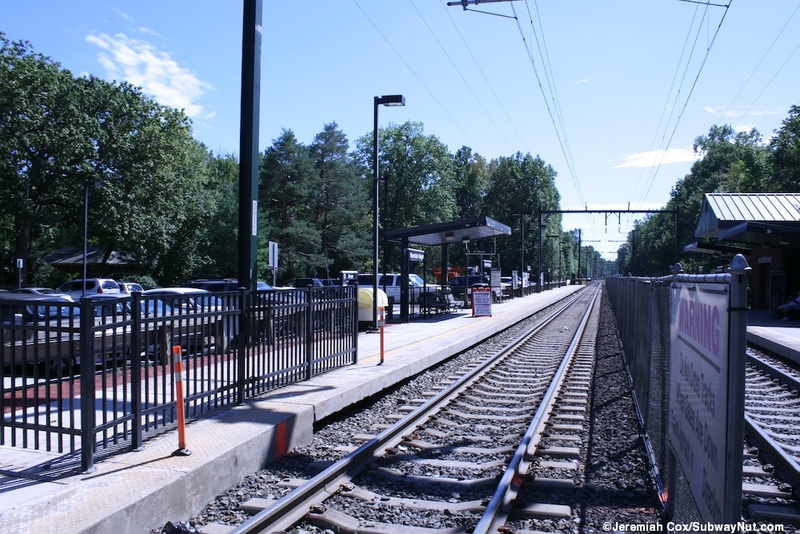 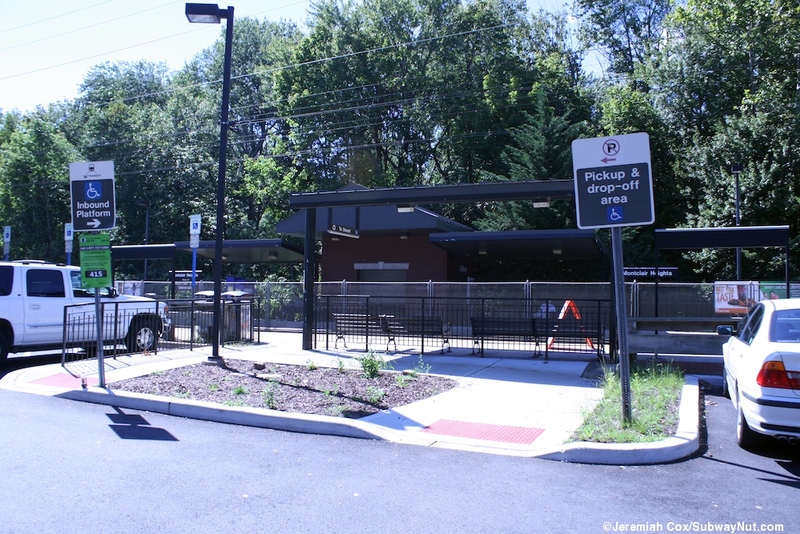 The Hackettstown-bound platform has a single canopy covering a few benches and the station's small 67 space permit only parking lot, parallel to it and accessed from Carlisle Road.